BI Norwegian Business School’s Øyvind Martinsen identified components of creative personalities as key attributes for innovative problem solving in business organizations. Martinsen’s study of 481 people included two groups of students in creative fields: advertising and performing artists, and a control group of lecturers and managers. 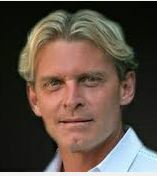 Martinsen says that a less creative individuals can increase this capacity when their work environments encourage rule-bending and free thought, so organizations can modify policies and practices to convey acceptance of exploration. Employees are often urged to take chances by innovating solutions, but sometimes these incubation efforts may not result in a commercial success — and organizations may not “forgive” the investment of time and money in speculative efforts. University of Washington’s Ryan Fehr with Michele Gelfand of University of Maryland suggest that organizations should establish the conditions for innovation and for accepting that experimentation may provide “lessons learned” even when efforts cannot be brought to market. Their research investigated “forgiving organizations” that expand the individual practice of workplace compassion and mindfulness to an institutional level. Fehr and Gelfand propose a “sensemaking” organizational model based on restorative justice, temperance, and compassion to cultivate the climate of fearless innovation and confident exploration in high-support organizations, which benefit from process and product breakthroughs and related financial rewards. 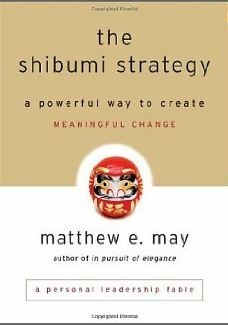 Matthew May explored a multi-faced exemplar of innovation, Shibumi, imperfectly defined as “effortless effectiveness”, simply-expressed complexity, flawed perfection. “Kanso” signals the “enoughness” of streamlined utility, based on prioritization, understatement, and order for the central purpose. “Shizen” points to the paradox of intentional artlessness, or balancing nature’s randomness and patterns with intentional curation. “Yugen” refers to the tension between stagnation of precision in contrast with nature’s growth. 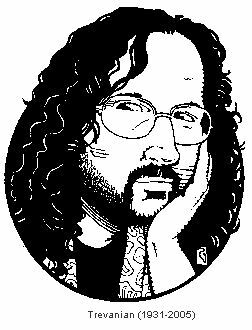 One example is Steve Jobs building anticipation through restrained information release. Gestalt researchers and artists demonstrated increased visual impact when participants co-create and collaborate in the innovation effort. 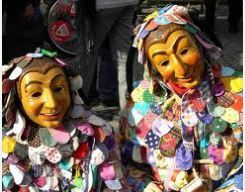 Datsuzoku suggests a break from routine, such as adopting free-spirited Carnival demeanor at the annual masked Fasching in German-speaking countries. Breaking patterns enables breakthrough innovation and creative resourcefulness. Seijaku is serenity in the midst of activity and provides context of datsuzoku, transcendence of conventional ideas and traditional usage, leading to surprise, astonishment, and freedom to create. “Doing nothing” in mindfulness practice can be provide unconscious incubation for eventual creative syntheses to solve complex design issues, and increase self-awareness, focus, and attention. Individuals who wish to become more creative even in more confining organizations have reported success by adopting mindfulness meditation based on conscious breathing. In addition mindfulness practice can enhance resilience to accept critique in the creative process. -*How do you establish the individual and organizational conditions for innovations? -*How do organizations become “forgiving”? This entry was posted in Change Management, Innovation, Resilience and tagged Antoine de Saint Exupery, Øyvind Martinsen, Baldassare Castiglione, coping, Creativity, Datsuzoku, Fasching, forgiving organization, Fukinsei, Genchi genbutsu, Gestalt, Hansei, Hoshin, Innovation, Kaizen, Kanso, Kata, Koko, Matthew May, Michele Gelfand, mindfulness meditation, Resilience, restorative justice, Rodney William Whitaker, Ryan Fehr, Sarah Susanka, Seijaku, sensemaking, Shibumi, Shizen, Trevanian, workplace compassion, Yugen on June 5, 2013 by kathrynwelds. These may be attributes of very independent creative people. And, “creativity” may be differently defined. However, these are in high contrast to the MIT and Carnegie Mellon findings that high Collective Intelligence for complex problem solving comes correlates to higher numbers of women who take turns and have social sensitivity–to which I would add from Gender Competence, other relational competencies. Thank you, Bonita, for adding this important dimension and caveat to findings on personality characteristics associated with commercializable innovation and the allied notion of shibumi. You are correct that the operational definitions of “creativity” and “innovation” may differ as well as the measures of success in relevant problem-solving. The findings you cite support the beneficial impact of women in groups seeking to maximize business profitability, such as Boards of Directory. However, they contrast with other work that suggests that women’s contributions to group problem-solving are typically undervalued by both women and men, and that women often relinquish credit for their contributions and expertise in group problem-solving — unless most of the group members are women. Please feel free to share these important references here! Thank you again, Bonita.